Ms. Jacky is from the UK and first moved to the US in 2000. She has a BSc in Biochemistry and a Masters in Business Administration from the University of Cardiff in Wales. She has worked in the Pharmaceutical Industry for over 10 years and has been working for IM Schools for the past 4 years. 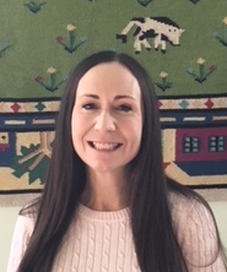 Before taking her current position Ms. Jacky worked in the Primary Classroom as an Assistant Teacher in our Paoli School, working in the multi aged classroom as well as and helping to run our Pre –K program. She takes great pride in seeing young children grow and develop as they progress through our Montessori program. She has been married to John for 19 years and with their three children Theo, Christopher and Annabelle they enjoy many activities including gardening, golf and walking their dogs. Ms. Amy joined IMSchools in January 2014 as the primary teacher and is currently the director at our Great Valley location. She has a degree in Elementary Education from West Chester University. Ms. Amy has created a supportive and welcoming environment for our families, students and teachers. Ms. El Helou holds a Bachelor of Science in Education from Temple University. She also completed a number of courses towards her Masters degree in Spanish. She studied music since the age of 6 and holds a piano diploma from the Lebanese Conservatory in Beirut. She has completed her Montessori Certification in 2013. Before becoming a Montessori teacher, Ms. El Helou worked for the Office of Student Affairs at Temple University for 5 years. She grew up in Beirut, Lebanon and has traveled to many countries in Europe and Middle East. In addition to English, she speaks French, Arabic, Armenian and Spanish. Ms. Jennifer has two children, current students of IMSchools, and is married to our wonderful music teacher Mr. Serge. 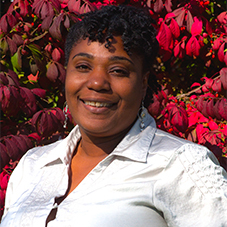 Kishyia began her Montessori career in 1994 when she entered the field as an assistant teacher. She has a Bachelor’s Degree in Human Services and in 2002, Kishyia earned her AMS Primary teaching credentials. Over the years Kishyia has worked in the field of education as an Assistant Teacher, Lead Teacher, Director, Consultant and Teacher Trainer. As a young child, Kishyia attended a Montessori school for a short time; however, the memories of her experiences there were long lasting. Kishyia has 2 wonderful children, born 20 years apart, and is a proud grandmother of 3 energetic boys. She continues to be inspired by the sense of wonder that children exhibit. Ms. Laura has been in education administration for eleven years. 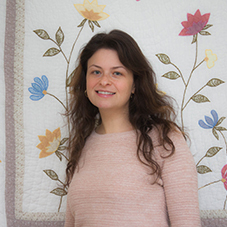 Ms. Laura has a Master’s degree in Elementary and Special Education from Chestnut Hill College and Bachelor’s degree in Art Education from Temple University. 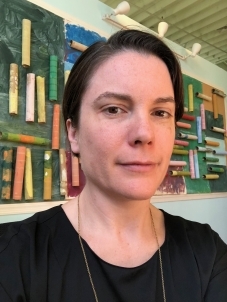 She holds a certificate in Distributed Leadership from the University of Pennsylvania’s Graduate School of Education and a Pennsylvania Principal’s certificate from Immaculata University. In 2011, she served as founding principal of a new school in an under-resourced neighborhood in North Philadelphia. Ms Laura has two children who have been with IM Schools since 2015 and she joined IM Schools in 2017. Ms. Melissa holds a Bachelor of Arts in English and Art History from Rutgers University. She is certified by the New Jersey Department of Education and the Pennsylvania State Board of Private Academic Schools in Elementary Education. Ms Melissa has been a lead elementary teacher at the IM Schools Paoli location since the fall of 2010. Prior to joining IM Schools, she worked as an elementary teacher in the East Brunswick Public School District in New Jersey for six years. Ms. Melissa is married to a biomedical engineer and they have two daughters who both began their education in Montessori early childhood programs. Ms. Melissa finds working in the IM Schools community very fulfilling because its’ educators are strongly committed to developing self-confident, curious and independent learners who aspire to become capable and compassionate global citizens. 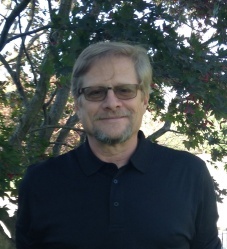 Tim has worked as a Montessori Assistant teacher for over ten years in both Pre-Primary and Primary classrooms. He first became involved in Montessori education when his three children, who are now in College, attended Montessori programs. Tim holds a BA in English Literature from The University of Vermont, and lives in Glen Mills, Pa. with his wife Teresa and their three dogs. Tim enjoys skiing, tinkering with old cars and woodworking. 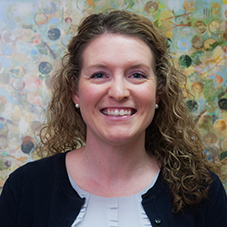 Holly Knox is the IM Schools Montessori Education Coordinator and Toddler Specialist. Holly is an AMS certified Montessori educator for Infants and Toddlers specializing in supporting the unique developmental needs of children from birth to 3 years of age. 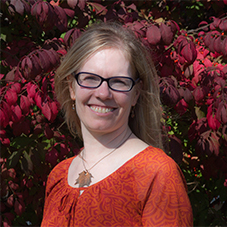 For the past 24 years, Holly has been designing classrooms, nurturing children, educating families, mentoring interns, and training Montessori teachers. 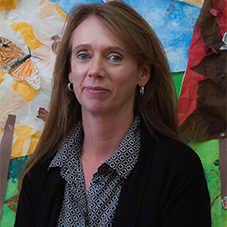 Most recently, Holly has served as School Director at IMSchools at West Chester. Holly’s focus is supporting the Pre-Primary environments and Montessori staff development. Holly believes strongly in the Montessori philosophy and is committed to teaching others the importance of giving each child respect as they learn to become independent. Holly lives in Wilmington, Delaware with her husband and 2 girls, Kalynne and Erin. When she is not at school, she enjoys reading, being in nature, gardening, and cooking.